William Butler Yeats, poet, playwright, politician, and Nobel prize-winner for literature always looked west. Yeats & the West considers what the west meant to him, and what that means for us. For W.B. Yeats the west of Ireland was foundational. Sligo was his family home, and Galway was where he brought his own family. Significant events of his life were played out there; collaborations that changed his work were formed there. The west of Ireland was the wellspring of Yeats’s imagination. A landscape of islands, stones, and solitary trees was the landscape of his poetry. The culture of the west, its history, its traditions of craft, story, and song shaped his sense of a past worth reviving and a present worth honouring, and by doing so shaped modern Ireland. This cultural revolution occurred under western eyes. Yeats & the West describes the many artistic collaborations that centred on Coole Park, Galway, and highlights the gifted artists of Yeats’s own family. It is true that Yeats often looked eastwards for philosophy, for religion, and all the arts in their service. But he turned west when grounding them. Yeats’s restoration of Thoor Ballylee, Galway, must be seen alongside the construction of his own poetry. In fact Yeats’s most distant travels were to North America. 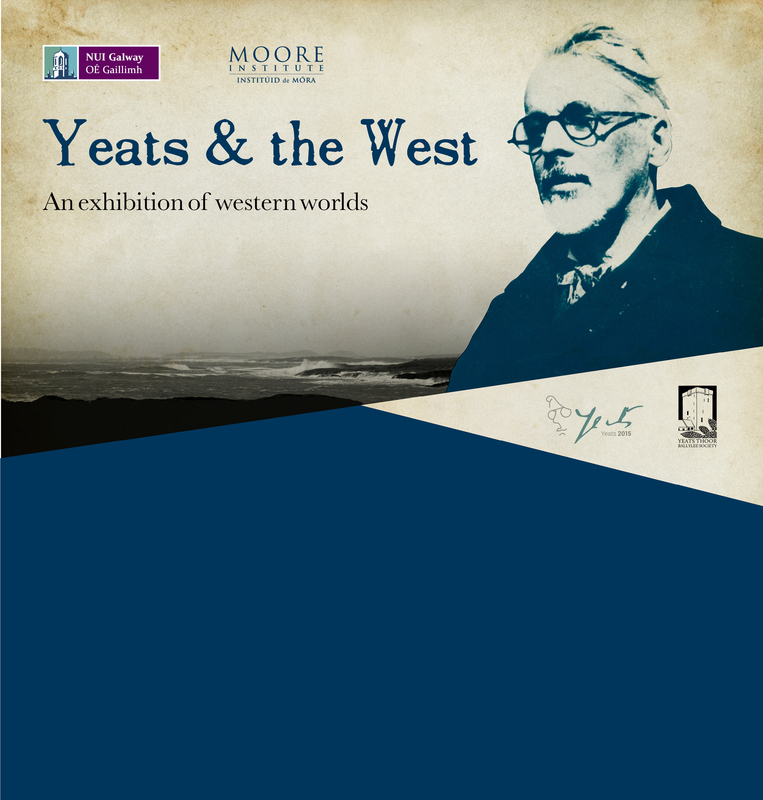 Yeats & the West follows him and the Abbey players as they cross the Atlantic and bring back with them a renewed idea of the breadth of the western world. Through images, words, film, and sound, using rare material from the NUI Galway’s collections and from around the world, Yeats & the West tells anew an old story: a story of going west to find those places, real and imaginative, that change our sense of where and who we are.